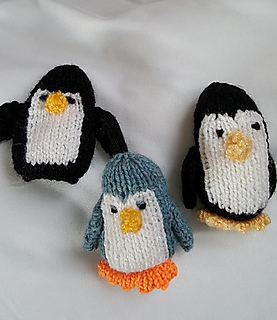 Make a puppet or a soft toy. Instructions are given for both. 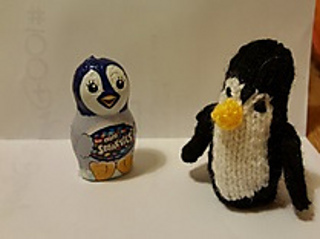 I used mine as a little present by adding a chocolate penguin inside. Gauge is not important, just be sure to use a needle that ensures no stuffing shows through. If you make the puppet version, then stuffing is not needed. 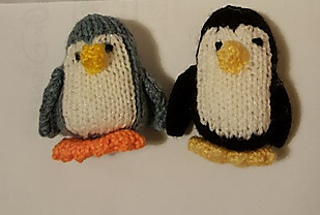 I used DK to get a 8cm penguin, worsted would create a slightly larger one.